Are you thinking about buying cedar mulch? 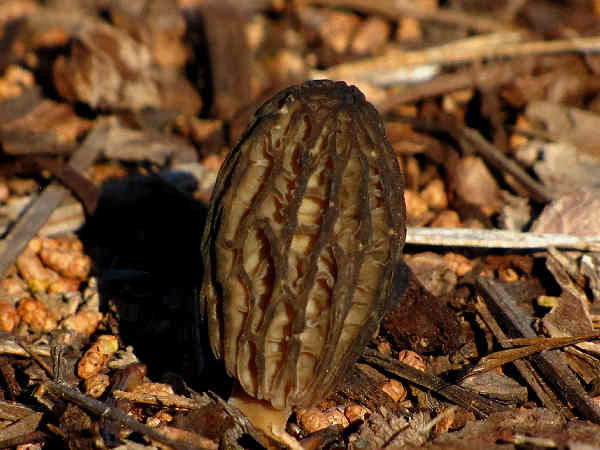 In a perfect world, the mulch used for landscaping around the yard would eliminate weeds and insects, along with sprouting morel mushrooms that could be dried and sold on the open market for a couple of hundred dollars per pound. In the less than perfect world, most consumers would probably accept plain old weed and insect reducing mulch. Consumers also think aesthetics, water management and soil nutrition when making their mulch decisions, therefore they tend to consider different types of mulches, such as the traditional wood or plant based mulches to the more modern synthetic mulches available at local garden centers and plant nurseries. Clever marketing that hitchhikes on the recycling theme extends the traditional wood or plant based idea of mulch to the idea of recycled plastic mulch. Commercial wood and plant based mulches, primarily bark mulches, come from a range of sources, including coco, pine and cedar trees, among others. A bark mulch’s ability to decompose over time, adding natural soil amendments, encourages a segment of the yard care population to replace and re-mulch on regular two or three year intervals. While weed control, water management and soil nutrition rank high in mulch utility, many consumers also consider mulch as a pest control management tool. That suggestion sounds contradictory in light of the fact that trees and especially those with thick bark often serve as hosts to a variety of insects. That’s a partially true claim. Certain woods, and their bark mulches, such as pine, provide inviting homes to insects. Stories about manufacturers that do a less than adequate job supplying clean and insect free mulch tend to pop up in the media from time to time. Nonetheless, discussions of cedar mulch as a pest management tool are based on a different line of reasoning similar to that used to market cedar wood as insect resistant outdoor fencing and furniture wood. The marketing claim generally posits that the oil in cedar, which produces its distinct aroma, is a natural insect repellent. When using the common form of cedar mulch with some wood chips mixed in, it is important to recognize its pest management potential and limits. Although cedar oil is a natural insect repellent, unless the mulch product contains the cedar’s natural aromatic properties, not typical of mulch, especially after it has been on the ground for some time, its wood repellent properties are limited. Having pointed out the limits, recent research suggests that used properly, cedar mulch does possess some Argentine ant deterrent properties. Termites starved and mortality reached 100% by the 11-12th week on decorative stone, rubber mulch, cocoa shell mulch, and coffee chaff. The onset of morbidity was slightly slower but mortality also reached 100% by the 13th week on peat moss, by the 14th week on pine bark nuggets, and by the 16th week on extra fine bark mulch. Making pest management decisions based on one research report can be problematic. Further research into the relationship between bark mulches, including cedar mulch, and natural pest management could help bring some clarify to questions related to different mulch types and their pest management potential for specific groups of insects. For consumers who choose cedar mulch, apply it can be as easy as weeding and leveling the dirt in the desired area, and covering it with the mulch. While the bag may recommend applications up to four inches deep, generally smaller (2″-3″) layers of mulch insure proper aeration and water irrigation of the soil below. Consumers interested in implementing stronger weed prevention mulching strategies, might consider placing sheet of landscape fabric on top of the weeded area area prior to applying the mulch.